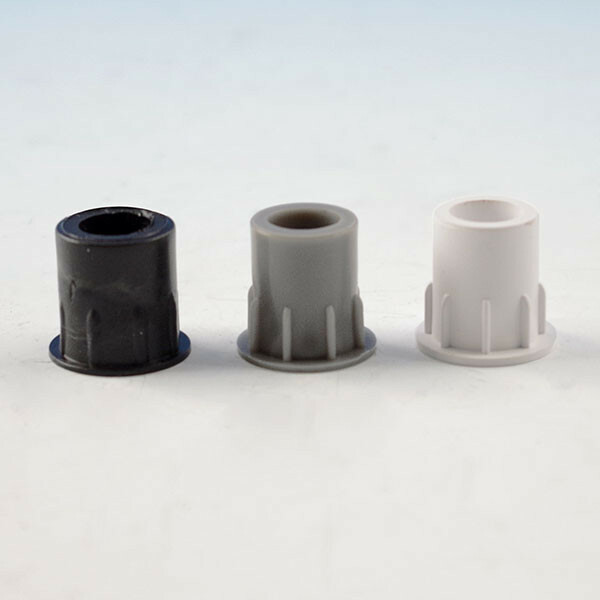 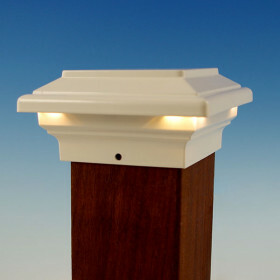 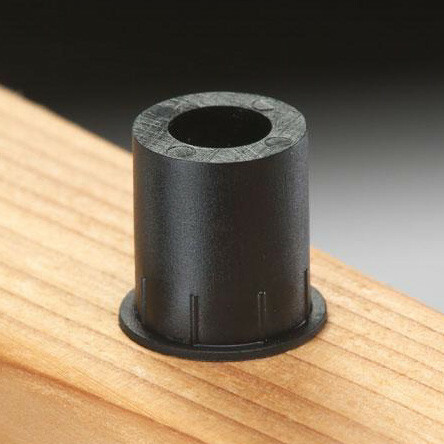 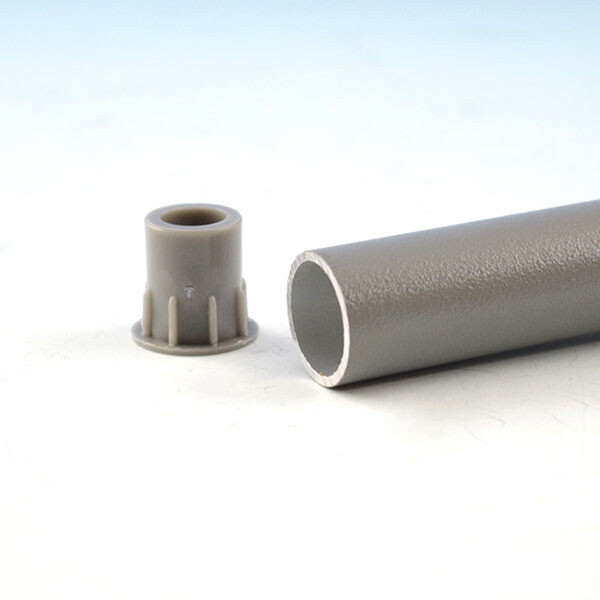 Level Baluster Connectors from Deckorators secure their Classic Round Balusters to deck rails without drilling. 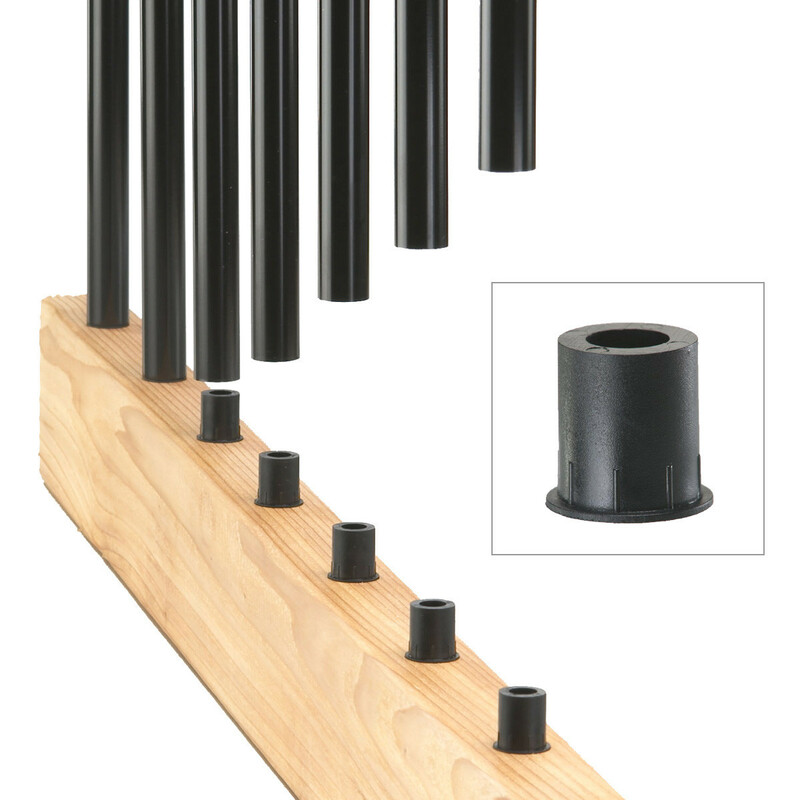 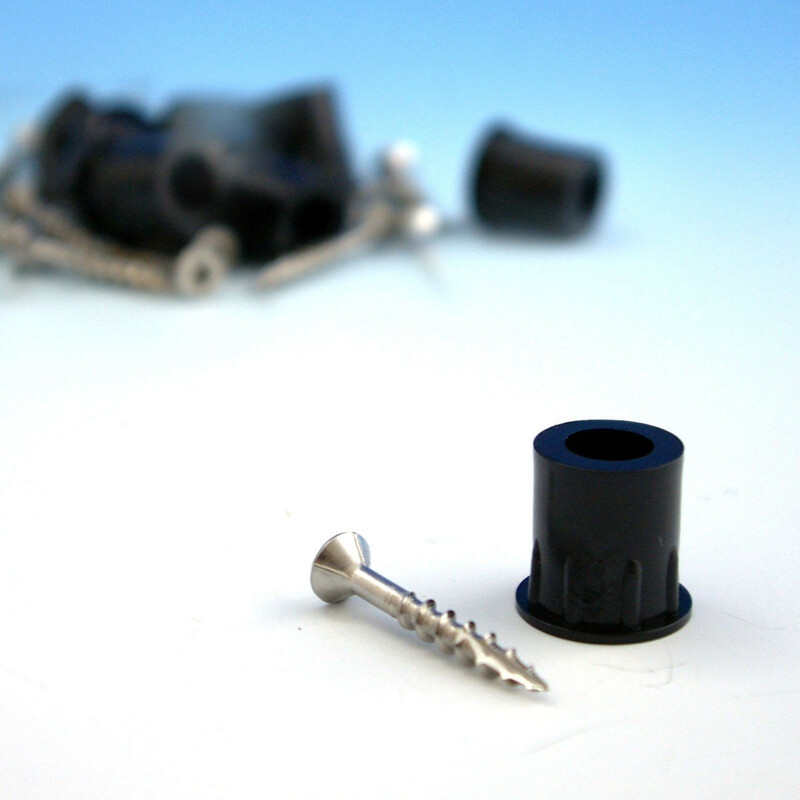 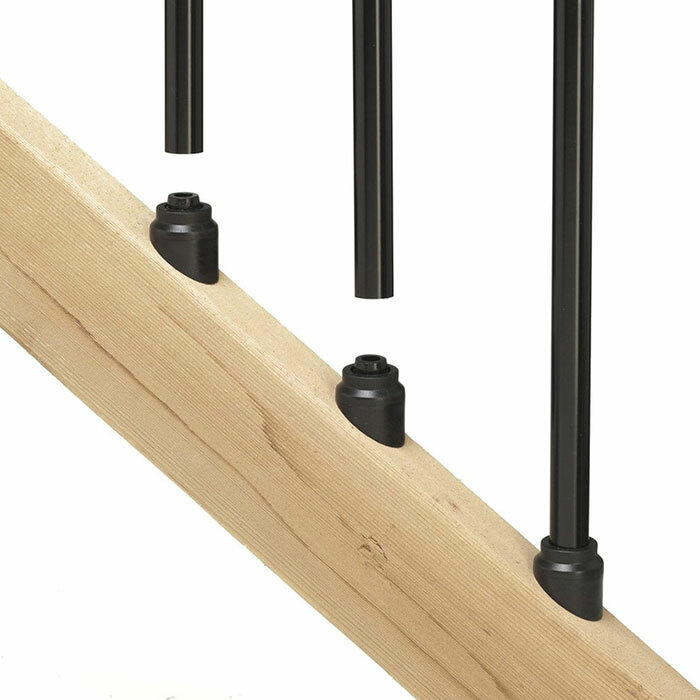 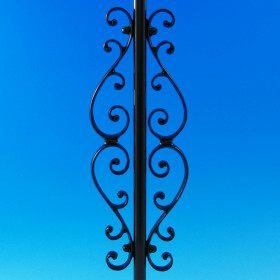 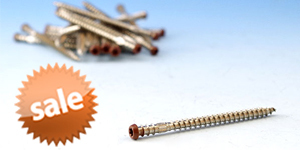 These connectors simply attach to the rail with stainless steel screws (provided), install on wood as well as composite railings, and disappear from sight when balusters are installed. 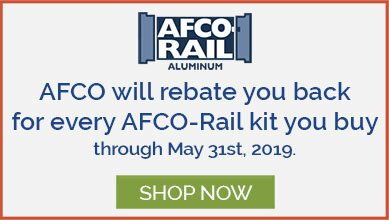 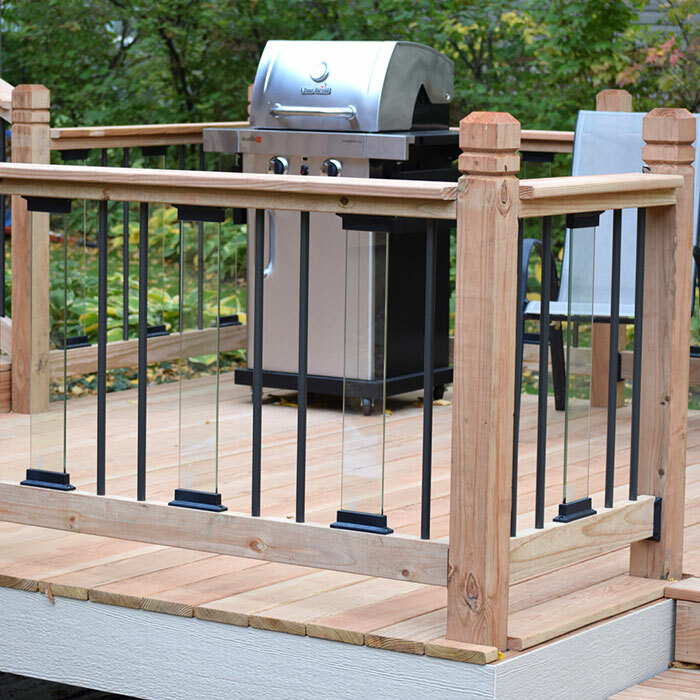 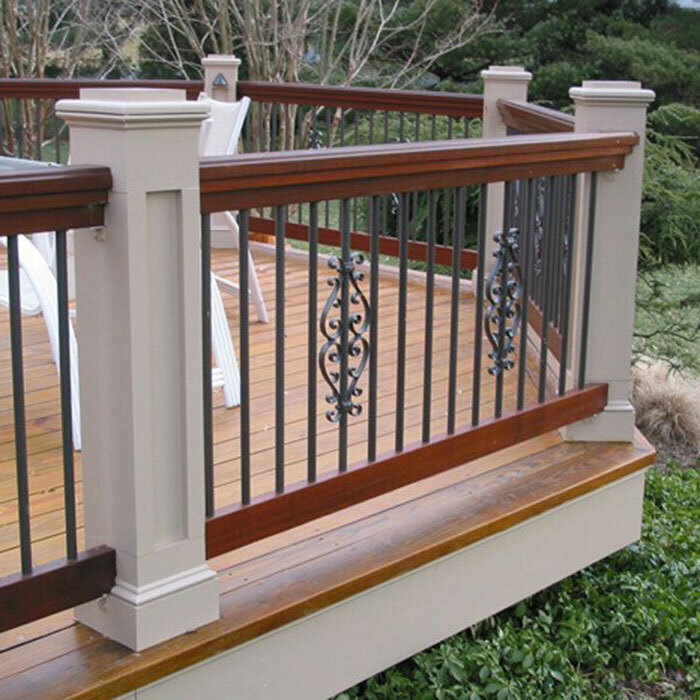 The plastic construction protects against the corrosion that can occur when chemicals in pressure treated lumber come in contact with aluminum balusters. 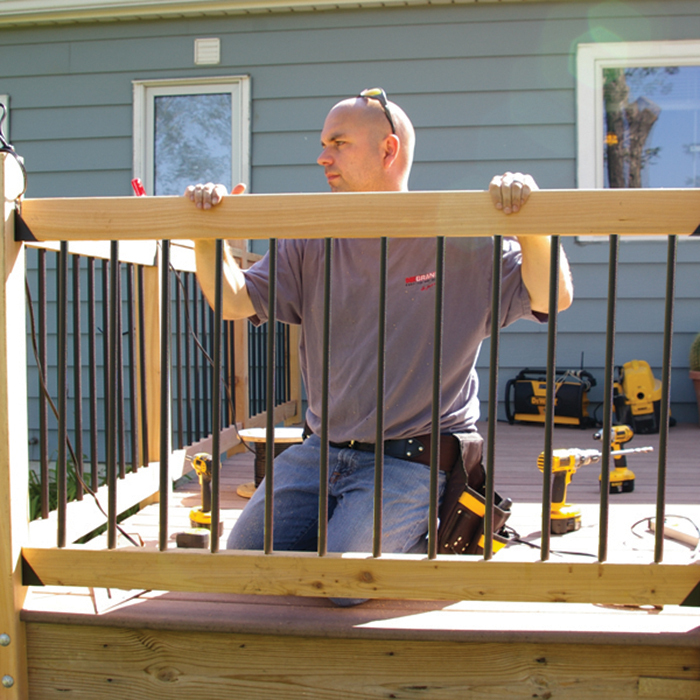 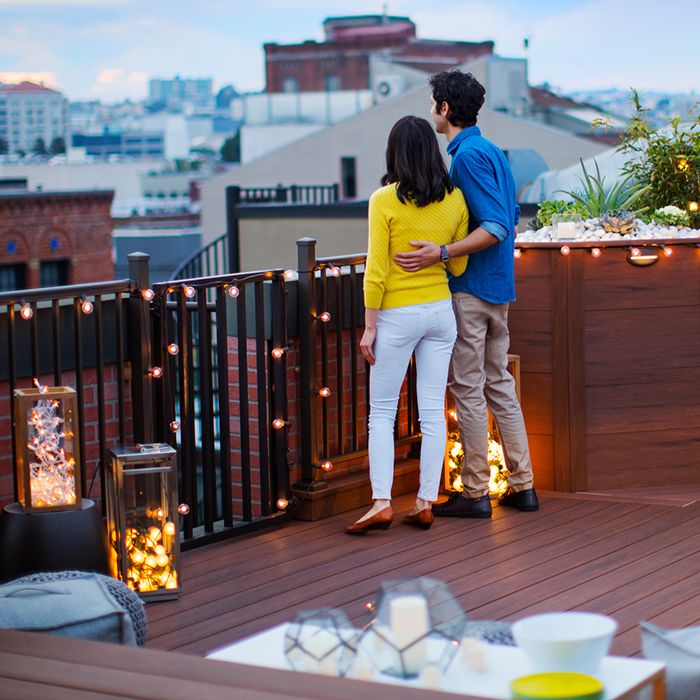 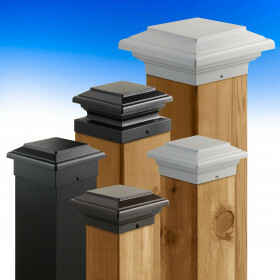 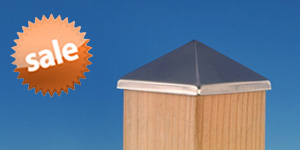 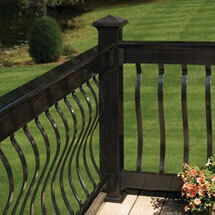 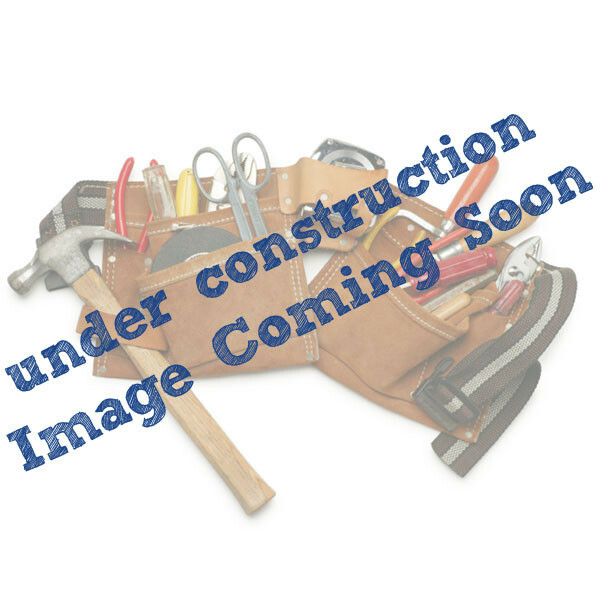 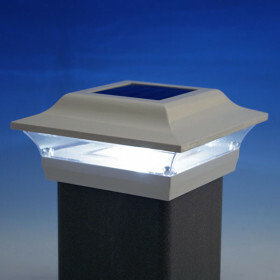 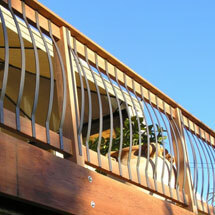 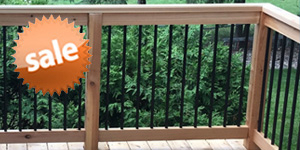 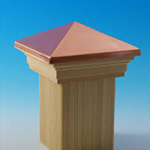 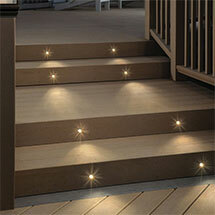 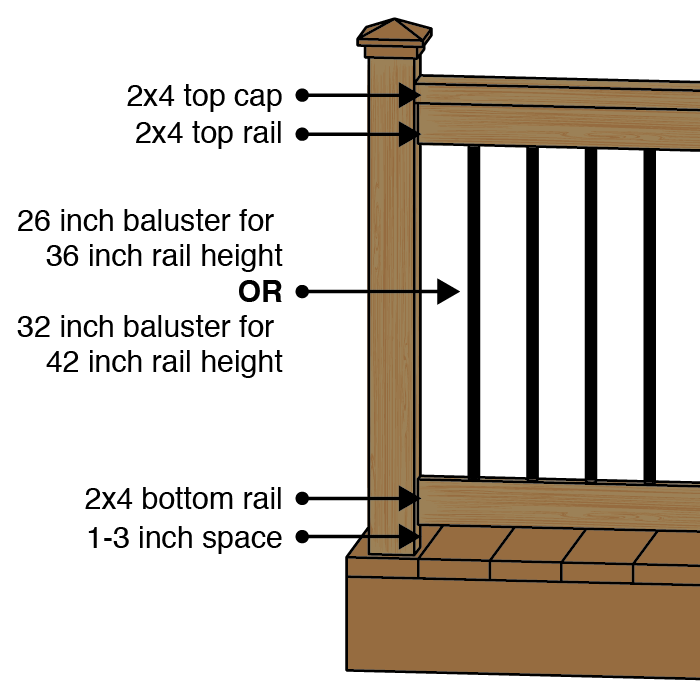 Plus, the finished result for your deck is clean, neat and sturdy baluster installation.